Dear Peter, thank you once more for your great responses and your expertise on my bowls. I shall certainly check for these characters as I havent paid much attention to the molded decoration. I always find it mind blowing how these things do survive. How fascinating and of course I would let you know if I decide to sell. I will just mention that this item has a couple of hair line cracks where the porcelain is especially thin at the rim, I think this is shown in the images. Is this common? I would just like to thank you on behalf of all visitors to this site for the time you spend on us and answering the queries (the good, the bad and the..) I do not know of another site like this. Congratulations. This is not celadon. 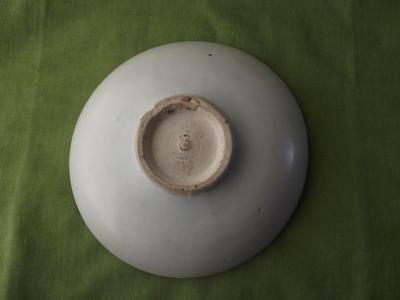 By the Chinese it is classified under white porcelain or Qingbai porcelain, usually. Its normal color is grayish white. 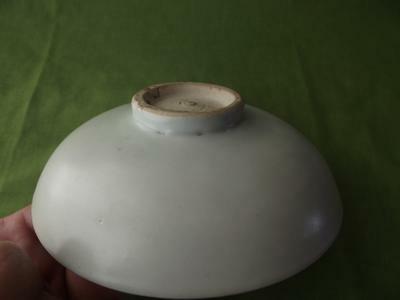 This is clearly Yuan dynasty Shufu porcelain, and I can tell you that it is relatively rare. I know about this type of porcelain only because I happen to own one of these. 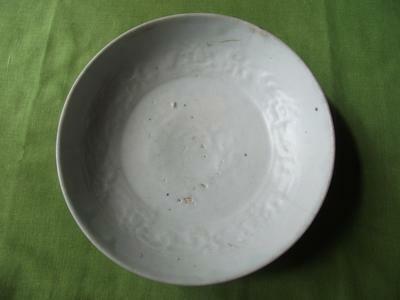 I recommend you try to find out if yours has characters along the bowl edge (inside), where the carved decoration is. Depending on whether there are characters, the collecting value might be higher. Mine has none, and its value is therefore not that high. 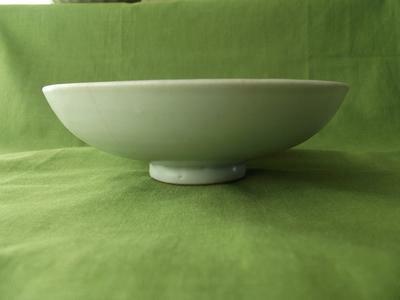 If you intend to put the bowl up for sale, in future, please inform me.